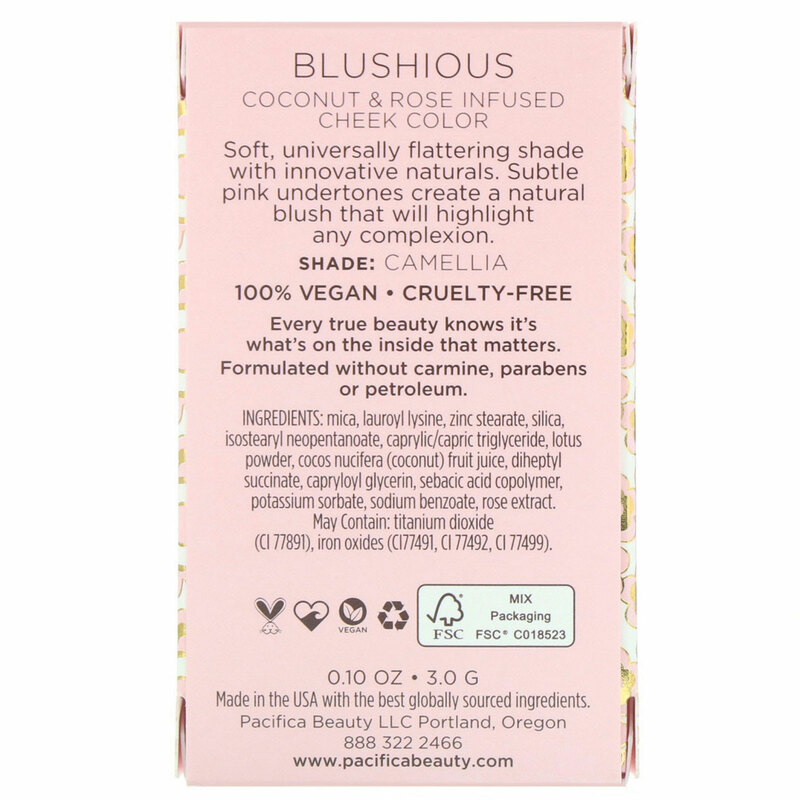 Soft, universally flattering shade with innovative naturals. 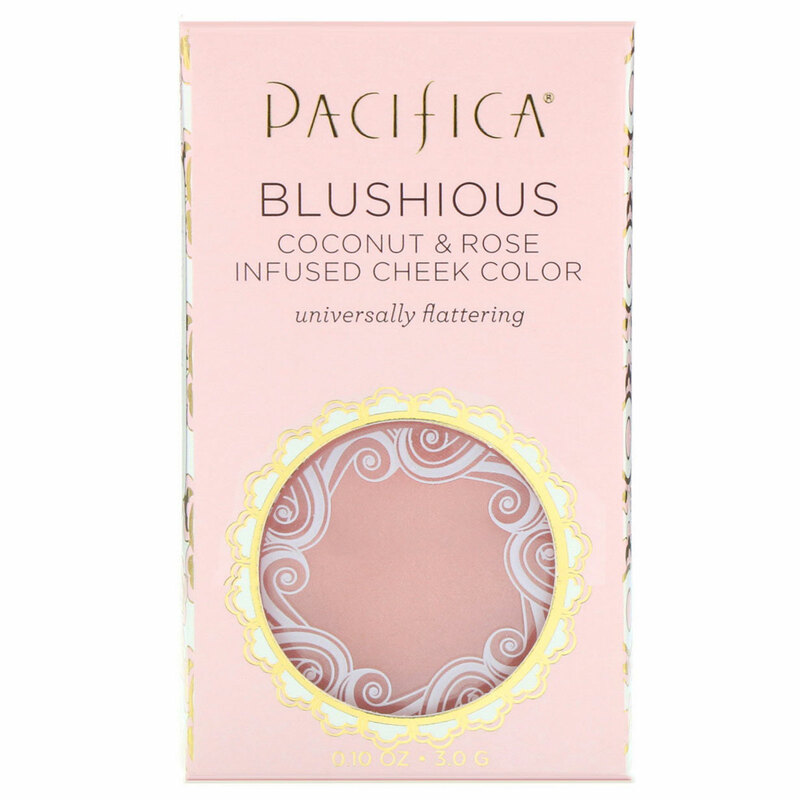 Subtle pink undertones create a natural blush that will highlight any complexion. 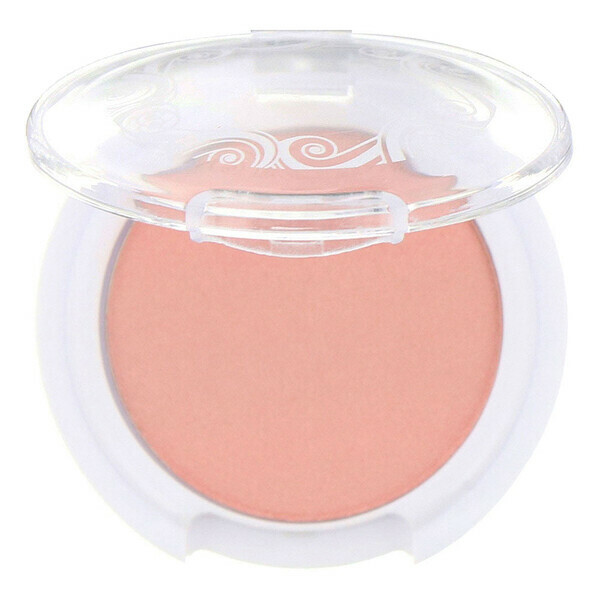 Universal radiant sheer mineral cheek color. Mica, lauroyl lysine, zinc, stearate, silica, isotearyl neopentanoate, caprylic/capric triglyceride, lotus powder, cocos nucifera (coconut) fruit juice, diheptyl succinate, capryloyl glycerin, sebacic acid copolymer, potassium sorbate, sodium benzoate, rose extract. May Contain: Titanium dioxide (Cl 78991), iron oxides, Cl 77491, Cl 77492, Cl 77499).